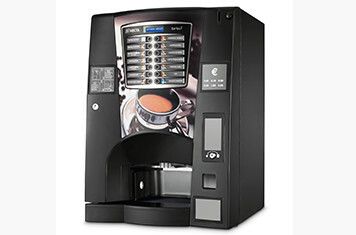 Continuing the classic success of the Brio offers a higher capacity for dispensing quality drinks and features. A stylish design is fit to grace any environment. 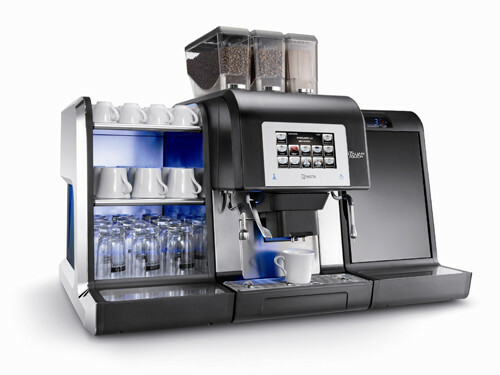 Compact dimensions and updated technological features ensure top performance every time, and help this machine build on Brio’s enviable reputation to create its own, unique experience. This compact multi-drink dispenser boasts innovative technologies that offer high quality drinks every time. It’s also incredibly simple to clean and maintain, with easy to disassemble colour-coded components, and is consistently reliable due to its high quality parts that are normally used in multi-drink dispensers with much heavier workloads. Koro is at home in a variety of environments and will complement meeting rooms, small businesses and those surroundings that require high quality dispensed drinks in an compact space. Kikko Max forms one half of the perfect vending partnership. Kikko Max’s selection area has been updated, creating a more user-friendly experience. An increased cup capacity guarantees the ability to cater for most for medium sized locations. Korinto is aimed at the HoReCa (Hotel, Restaurant and Café) market, complementing the range with its multi-drink dispenser solutions. 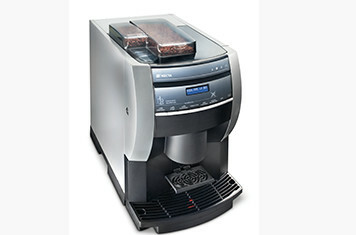 Korinto offers a professional level of performance, optimising high quality drinks and ease of operation. With a sturdy stylish design that features a stainless steel delivery area able to accommodate up to 24 cm jugs and large user-friendly selection buttons, Korinto easily complements any environment it is placed in. Designed for day to day coffee service in high quality and volume sites, especially for breakfast coffee environment. 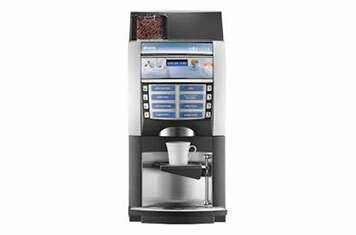 Karisma represents outstanding dispense speed and high productivity (up to 200 cups per hour). Karisma offers a wide customizable range of hot drinks based on authentic Italian espresso coffee beans and fresh milk, or soluble products such as chocolate. The new super automatic Karisma is characterized by a contemporary and elegant Italian design, compact dimensions, stylish accessories and eye catching touch screen interface. Krea utilises a modern and elegant design which is enriched by LED lights, chromium-plated push-buttons and frame surrounding the selection area and elegant side graphic panels – high in aesthetic quality. 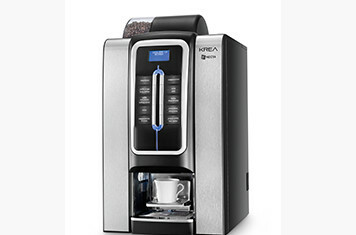 The coffee hopper and waste container’s capacity are perfectly balanced, to guarantee the highest level of operational efficiency.The Krea Espresso makes use of Z4000 technology, which delivers perfect freshly ground espresso coffee and espresso-based specialty drinks in a matter of seconds.